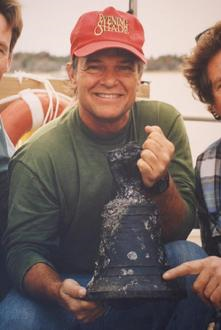 Captain Mike Daniel is a naval historian and undersea explorer who discovered a number of famous archaeological sites. 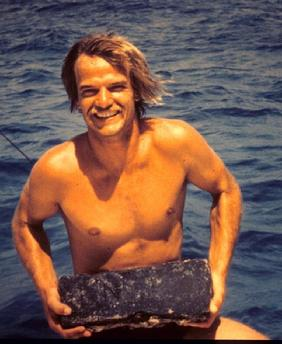 He has located a number of lost historical sites in Florida, the Caribbean, the Bahamas and the Carolinas. His most renowned discoveries are that of Blackbeard's flagship the Queen Anne's Revenge and the treasure Galleon Nuestra Senora de las Maravillas. 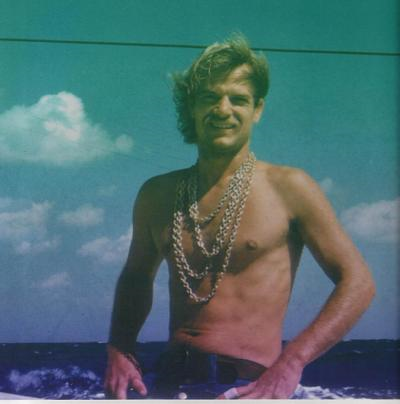 In 1972 along with world renowned author Robert F. Marx, Captain Daniel discovered the 1656 treasure Galleon Nuestra Senora de las Maravillas that was submersed for centuries in the waters of the Bahamas. 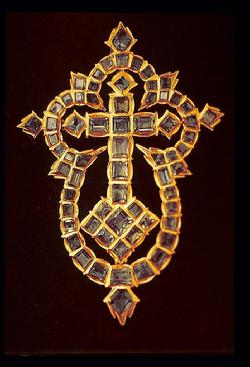 The Maravilla is one of the most uniquely tragic stories of the Spanish empire. She collided with another ship in her fleet when both vessles had drifted into the shallow waters of the Little Bahamas Bank during a raging northerly gale. The Maravilla, fatally wounded by this collision was steered into the shallow waters and run firmly aground. Her captain had hoped this would allow other ships in the fleet the ability to rescue her passengers and crew. Inversely, the dangers of the shallows and increasing seas kept the other ships in the fleet fearing for their own safety. Of the 650 people on board, 605 perished that night. Only a few survivors were rescued by small boats sent in by a vessel anchored nearby due to a lost rudder. A documentary on this find called the “Treasure of the Bahamas” was narrated by Rod Serling. As a tribute to their friendship; Marx, a renowned author on treasure hunting, dedicated one of his books, "Capture of the Treasure Fleet" to Captain Daniel. 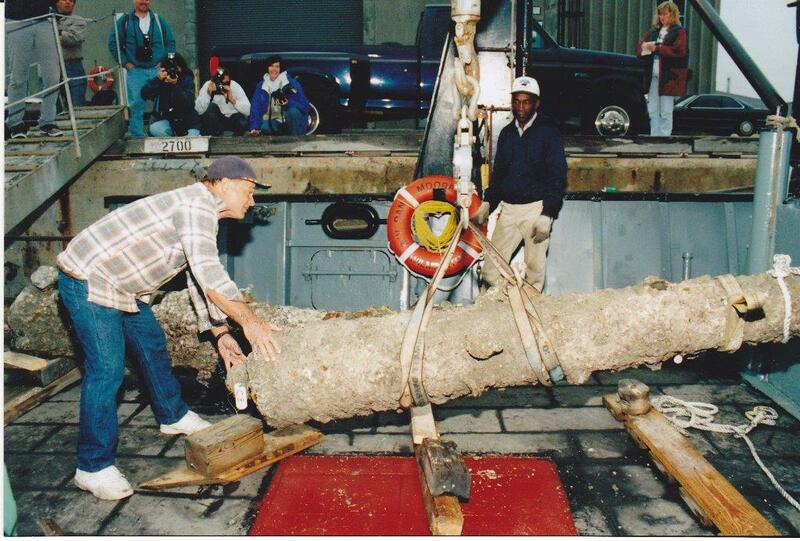 One of Captain Daniel's more profound and more recent discoveries came in 1996 when he located Blackbeard's flagship the Queen Anne's Revenge off the coast of North Carolina. In 1998, buried in the French archives, he also discovered a document detailing the capture of the Concorde de Nantes, or better known as the Queen Anne's Revenge. When captured by Blackbeard, the Queen Anne's Revenge (QAR) was a French slave ship called the Concorde de Nantes. At the time of her capture in 1717, she was on her third voyage from Africa transporting 516 slaves. In May of 1718, aboard the QAR, Blackbeard had set a blockade on Charleston, SC for one week. Blackbeard's demands were that of a chest of medicine. This medical aid was demanded for his crew who is thought to have had a syphilis epidemic on hand. A week after leaving Charleston the Queen Anne's Revenge ran aground on the bar trying to enter Topsail Inlet, North Carolina. She was lost along with the Adventure, another ship in his fleet. 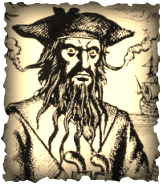 Blackbeard was in command of the QAR for a mere seven months, yet within that time he became the world's most notorious pirate. Within a year of her capture not only was the QAR lost, but Blackbeard and nearly 100 of his crew would die violent deaths. The Queen Anne's Revenge is considered the most famous pirate ship ever found. Both Blackbeard and Stede Bonnet were onboard when she was lost. In his home town of Jupiter Florida, Daniel discovered two 1838 Seminole Indian War battle sites & provided the historical research that led to the naming of Abacoa, the first identified Indian village on the North American continent by Ponce de Leon in 1513. His work has been featured in many national newspapers and magazines including National Geographic, Smithsonian, American Archaeology and People Magazine. He appeared on Good Morning America and been featured on numerous historical documentaries that have aired on the History Channel, Discovery Channel, National Geographic Channel and others. Daniel has also worked in the film Industry for twenty years and has worked as a marine coordinator, set decorator and props with stars such as Leonardo DiCaprio, Sarah Jessica Parker, Burt Reynolds and many others. Mike Daniel is also the founder of the Burt Reynolds Institute and Museum. This eight feet long cannon required a soaking in a chemical bath, a process that can take about five years to help restore it.